Manchester-based AZoNetwork, the global content marketing platform for science, healthcare and engineering, has appointed Ceri James as chief operating officer. AZoNetwork works with over 400 organisations who use its digital platforms to engage with healthcare professionals, scientists, designers, researchers and engaged consumers, with a total audience of 87 million users a year. 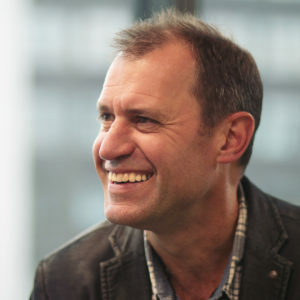 James brings over 25 years’ industry experience working in medical and scientific communications, including AstraZeneca where he held various sales, business management and marketing roles. He also brings agency expertise from McCann Health, where he held roles in brand consultancy and innovation, as well as organizational capability development experience with Brand Learning, now part of Accenture. AZoNetwork CEO, Dr Ian Birkby, said: “Ceri’s knowledge, expertise and experience will be critical and represents another exciting chapter in the AZoNetwork story as we grow to over 30 employees for the first time in our history. Having recently moved to Bruntwood’s purpose-built city centre tech hub, NEO, the firm has further expanded its headcount by creating seven new jobs in as many months. James said: “The opportunities to engage specific online communities with targeted and integrated content are expanding rapidly. We have an excellent range of services and an ambitious team so I am really looking forward to our journey."